The Queen Mary, dubbed one of the top 10 most haunted places on Earth by Time Magazine, is pleased to unveil the newly-intensified and re-inspired Ghost and Legends, opening to the public on Friday, November 10th. Offered year-round, thrill seekers and scare enthusiasts are invited to board the haunted RMS Queen Mary to test their fears in the world’s largest interactive and fully immersive haunted attraction. Experience the spirit legends of the Queen Mary first-hand with all-new special effects, cutting-edge technology and, of course, the chance to encounter paranormal activity for a one-of-a-kind, spine-chilling, fun time. “The new Ghosts and Legends offers guests an entirely different level of the traditional haunted experience. 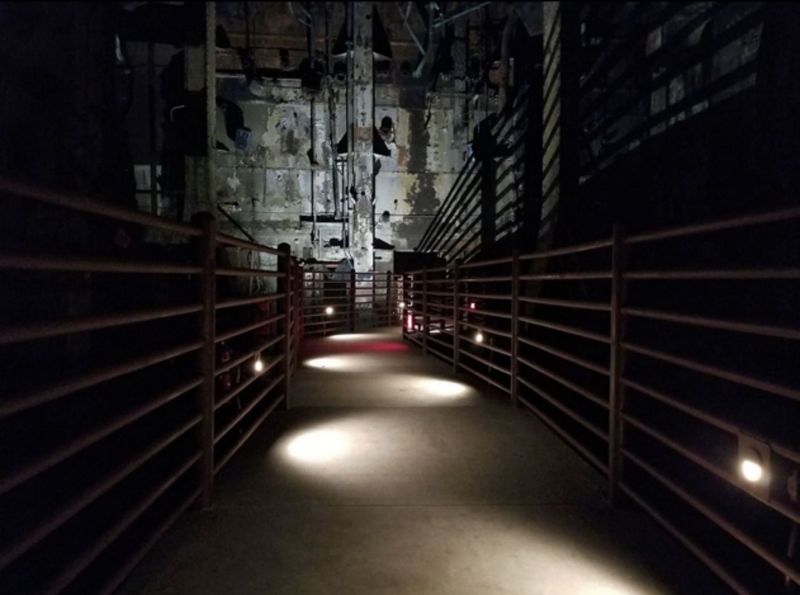 We crafted terrifying original stories and characters based the ship’s well-known paranormal tales and hot-spots onboard the Queen Mary to create a truly thrilling, immersive, and unique encounter,” said Brian Luallen, Director of Entertainment Events, The Queen Mary. The reimagined Ghost and Legends elevates scares with innovative interactive technology and special effects including a tesla coil firing 3.4 million volt bolts of lightning at a frightfully intimate distance, massive water effects, fog projections with state of the art CGI specters, and a hand-held ghost tracking tablet given to select attendees for the tour. To further enhance the frights, tour groups will also be given a flashlight to guide their way through the dimly lit attraction. Thrill-seekers beware – the flashlights will be controlled by the twisted minds of the Ghost and Legends producers!